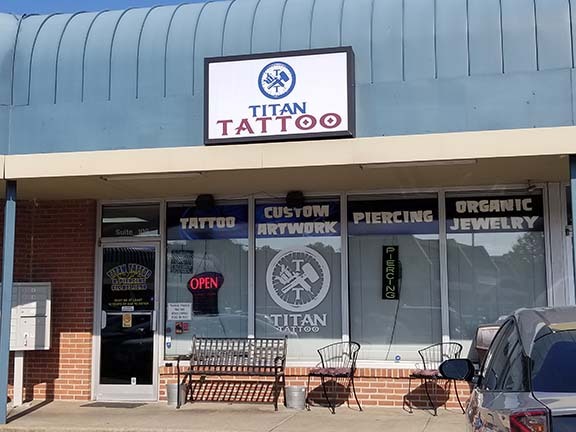 Titan Tattoo is an artist-owned and operated custom tattoo and professional body piercing studio with TWO great locations. Our original shop opened in September 2010 in the neighborhood of Donelson. We are conveniently located near the airport, Interstate 40, The Grand Ole Opry and Briley Parkway. Our studio is just six miles east of downtown Nashville. We expanded in March 2018 to the rural two of Carthage, TN. 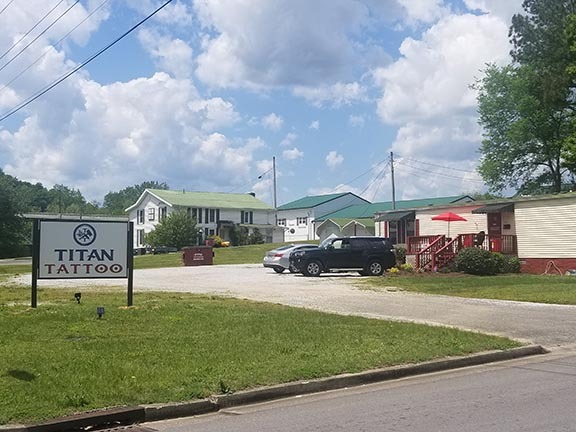 Titan Tattoo II is 45 miles East of Nashville just off Hwy. 70. – click the page above or here for more information on Titan Tattoo II. We are fully licensed artists who specialize in custom artwork, cover-ups, large scale black & gray and color work as well as realistic portraits. Big or small, we do it all. Whether you are looking for a stunning sleeve, a portrait or just a small, simple design, our artists will provide you with the same quality attention to detail and professionalism. Our artists will always take the time to discuss your tattoo with you, helping you make the best choices in design and application. We will also provide you with all the information you will need to properly care for you new tattoo or piercing. This ensures the best healing process. Walk ins are always welcome, however appointments are preferred. We will always do our best to take care of walk-ins and you never need an appointment for body piercing. Full Service Body Piercing – Both locations! We carry an extensive line of body jewelry including large-gauge organic ear plugs. Aftercare products for your new tattoo and piercing are available for purchase. You will be provided with both verbal and written instructions for taking care of your new tattoo or piercing. Our artists are always friendly and always ready to consult with you, offer suggestions to make your tattoo ideas amazing and design your tattoo. Let us help you get started today on the work of art you dreamed of for years! Stop by our studio for a truly unique experience with Artists that Tattoo & Pierce with Integrity! We look forward to meeting you! Click here to call now!! !